The design correspond 100% to the photo, on the back had about Wireless spare But cut them and didn't break neither anything. Perhaps had to choose the size XS because the fabric has a medium level of elasticity. 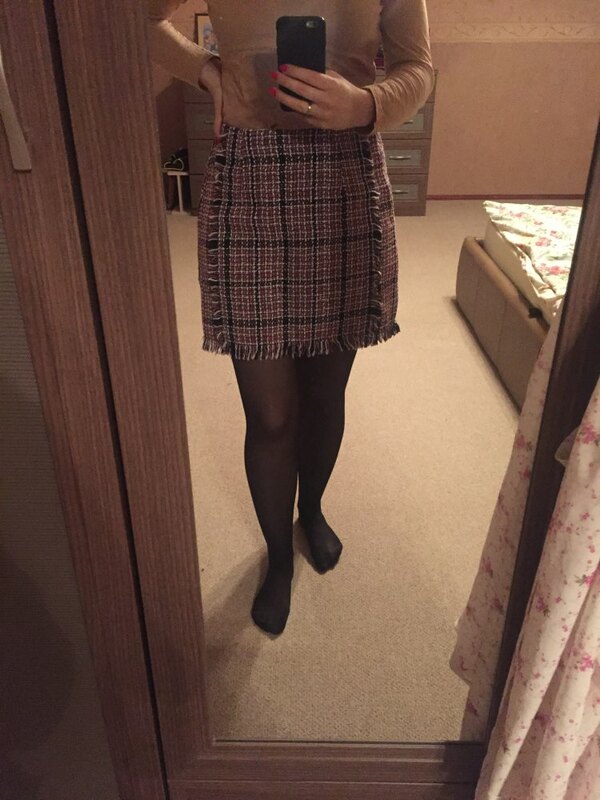 Skirt good)) came quickly, with the holidays. IN near Suburbs. Courier to your home, that, too. Tracking! The hips 101 waist 73 went. THE waist is not much high-)) recommend buying definitely! Quality is good, for making claims no, much better quality of some stores. There was no smell. It was packed into a special package. Advise. But want to just say that I wear S and S, but they have bolshevat, now you need to sew, so if you are a little, then just take XS. This skirt is absolutely beautiful, better than pictures. 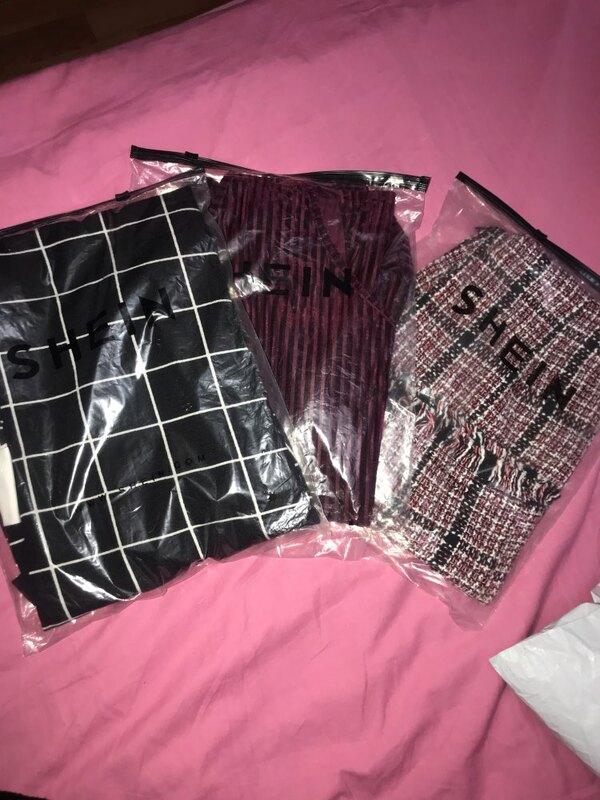 This was my first order on SheIn. I am very happy with quality and seller communication. Seller answered all my questions during the ordering process. It took one month to deliver it in Slovakia. Skirt is made from very good quality material, nice feeling on body and it shaped perfectly with my size. I wear usually S, and this was perfect choice. 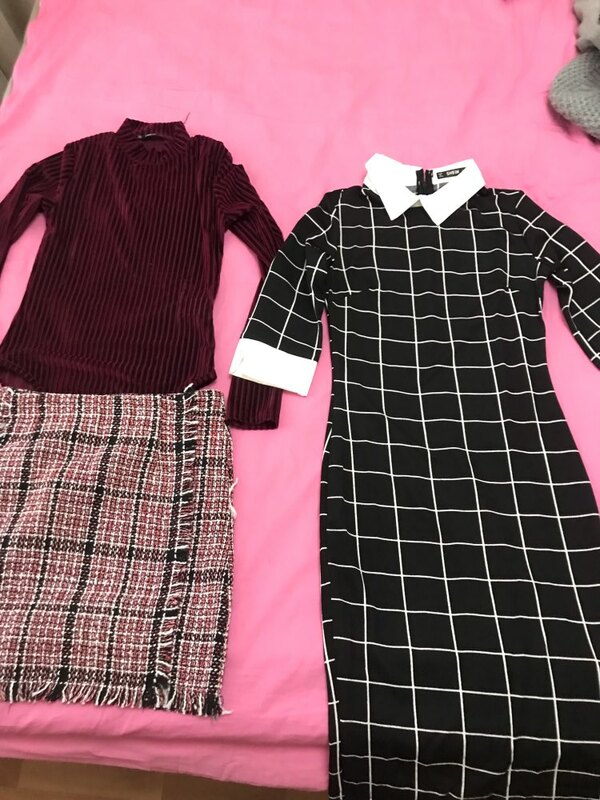 (my size: 1.55cm, 53 kilo, 85/65/90) I will post few pictures with skirt later. I will definitely buy more things from SheIn in future. Thank you SheIn. S size.